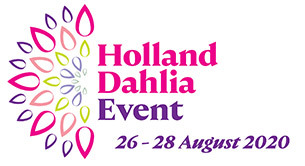 This declaration concerns the way in which we, Stichting Holland Dahlia Event, handle personal data of members and board members of the foundation and visitors to our website www.hollanddahliaevent.com. We take the protection and security of the personal data we process about you seriously. We comply with the requirements specified in the General Data Protection Regulations (GDPR). We process the personal data of members and board members to maintain the foundation’s administration records. The personal data we collect are: name, address, place of residence, telephone number, e-mail address and date of birth of our members and board members. If you annul your membership of the foundation, we delete your personal data within two months of your resignation. We collect data about visitors while they are using our website. For example, IP addresses, the time of access and the data sent by your browser. We do this in order to be able to follow the use of our website and analyse it, with the aim to optimise the user’s experience. Wherever possible, the data are anonymised. These visitors’ data are never transmitted to third parties. We use functional and analytical cookies. Functional cookies are necessary to ensure our website runs smoothly. We use analytical cookies to evaluate the use of our website and improve it. We utilise Google Analytics to record how you as the user use our website. Cookies are placed for this purpose. We have concluded a processing agreement with Google. In the settings for Google Analytics we have arranged for the last 8 figures of your IP address to be masked, and we do not share data with Google. We do not use other Google services in combination with Google Analytics. In your browser (see browser manual), you can specify that you only wish to accept cookies that you have approved. For optimal functioning of a website, it is often necessary to accept cookies. If a cookie has an expiry period, then your data will no longer be collected after the expiry deadline. In addition, it is also possible to remove cookies prematurely (see browser manual). Personal data are not shared with third parties, unless this is necessary for supplying our service or if we are legally obliged to do so. In that case, we shall inform you of this in advance with notification of the party with which the data are being shared. With the security measures we have taken, we strive to prevent the misuse of and unauthorised access to your personal data. The cookie settings in Google Analytics have been arranged to be privacy-friendly in line with the guidelines of the Personal Data Authority. For more information about these settings, please refer to the manual on the Personal Data Authority website. Each of our business relations has the right to see or request personal data held about him/her. If the data we have about you are incorrect, you can ask us in writing to revise them. If you ask us to delete your personal data, we shall carry out your request unless there is a legal obligation to store your data. If you would like to exercise one of these rights, we shall ask you to identify yourself clearly. We want to make sure that we do not correct or delete someone else’s data. If you are not satisfied with the way in which we process your personal data, then we are willing to discuss the situation with you. We would like to point out that you have right to submit your complaint about our processing to the Personal Data Authority. You can contact the Personal Data Authority directly for that purpose.